Journey to the Pongo de Mainique Peru. Chapter 1 page 1: Expedition Photography. 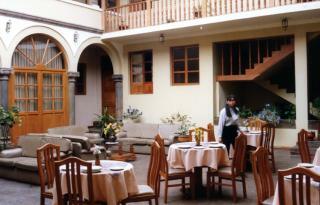 Our Jouney begins in "the earth's navel" Qosqo (Cusco), Peru. 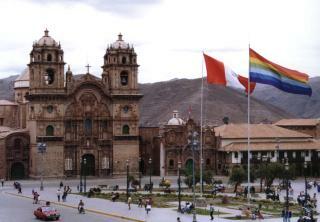 The Plaza de Armas, Cusco. 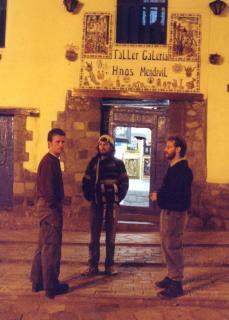 Two months before our arrival to Cusco Ben had left a posting on a travel message board that he was planning a trip to the Andes Mountains. I had left a similar message on my plan for a trip down the Urubamba River. With a flury of email, "The Pongo Adventure" was created. Within a couple weeks Tad found our messages, then Jim. Dara, a friend of Ben, heard he was heading off to the Amazon and joined in. Wayne became our "Man in the Field" at the last minute to lead our intrepid group across the mountains, down the river. Arrangements were made to meet up with Ashton and Kristy at the Machiguenga Indian village of Timpia, where they were teaching English to the Machiguengas. 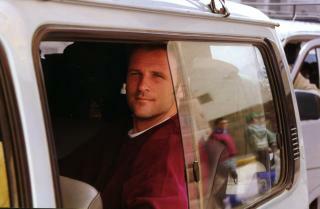 Nathaniel Gerhert would join us at the Urubamba River staging area to be our naturalist guide. 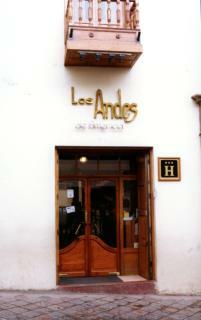 Our meeting place in Cusco became the Los Andes de America Hotel. 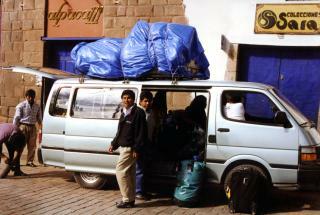 Ben, Dara, Tad, and Wayne came into Cusco following a trip to Bolivia's Heath River, near Puerto Maldonado. 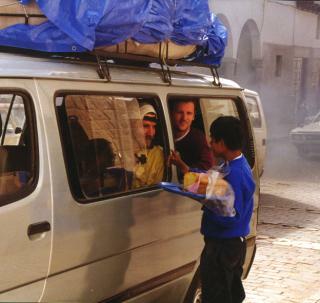 Jim returned by helicopter from his trek to Machu Picchu. And I spent the day on the balcony of the Bagdad Cafe overlooking the Plaza de Armas, enjoying a great view. 350 miles SE of Lima in the Andes mountains at 11,024 feet elevation. The "Archaeological Capital of South America" that was once the capital of a vast Inca empire and was known as "the City of the Sun". Kit Herring in the USA who worked long hours to get our itinerary together. The CEDIA and Selva Sur organizations. and the Machiguenga Indians for their their hospitality, and permission to visit their lands. And not least Bon Bon: Our Peruvian guide and friend.